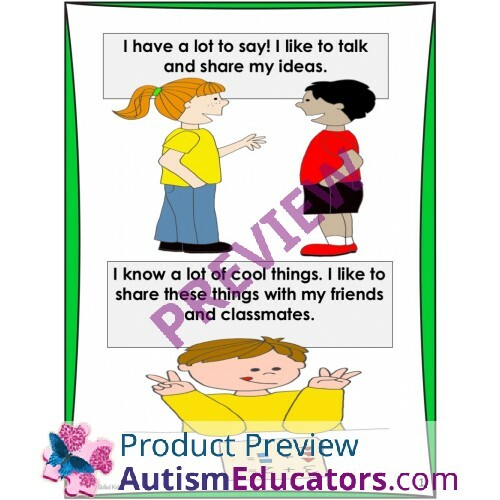 SOCIAL STORIES are a great way to teach children important social skills that they may be struggling with. 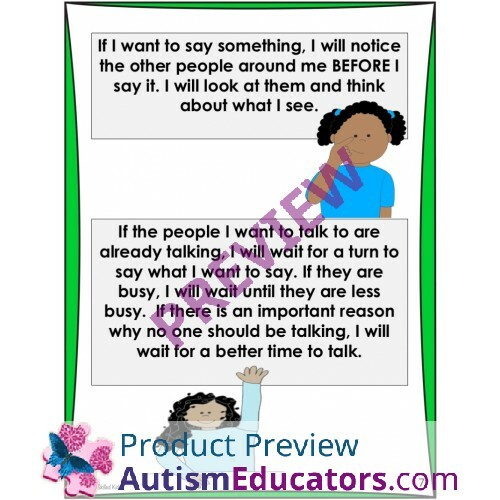 Social stories break down information into small, explicit steps so that children can more easily undertand what they should and should not do in a particular social situation. 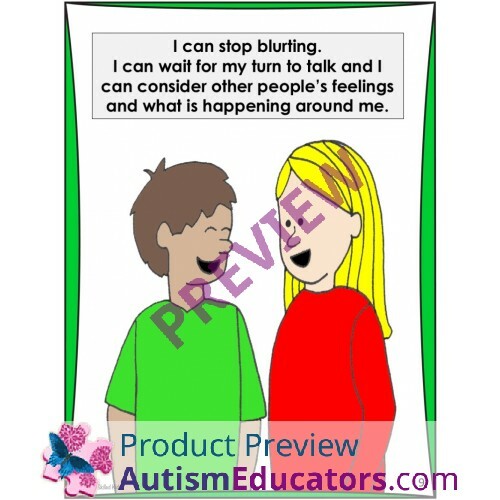 This story was written for the approximate age and ability level of children grades 3-5. 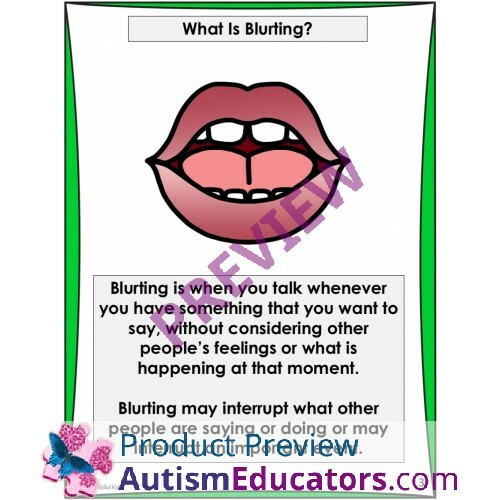 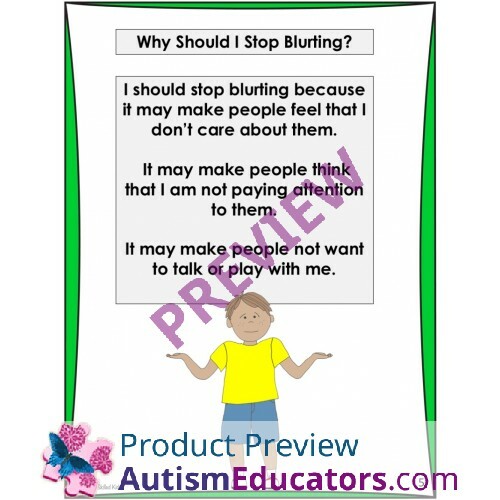 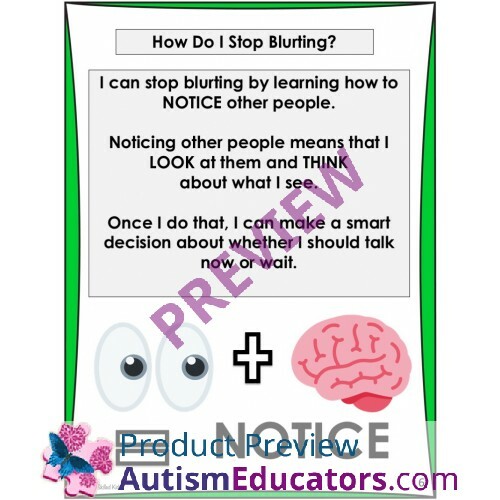 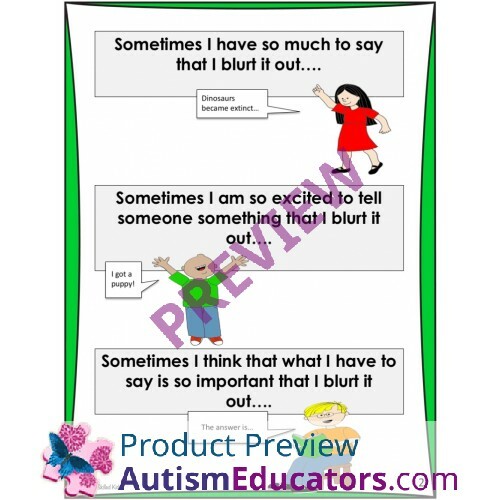 It helps children understand what blurting is and how to avoid it by noticing others and being considerate of them. 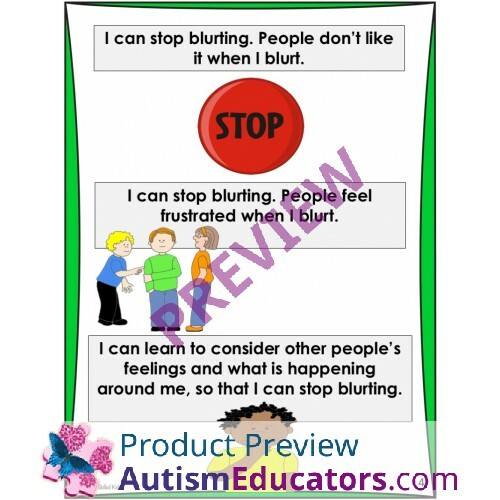 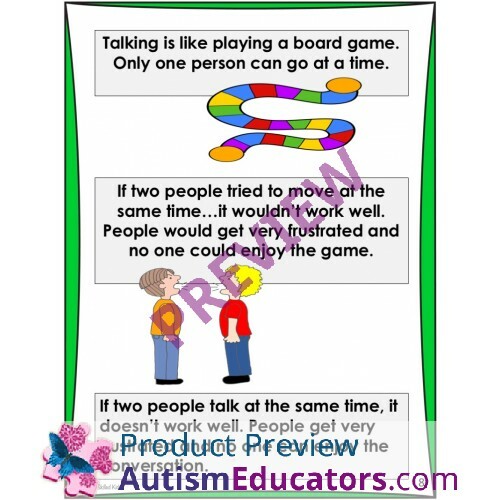 This is the same story as my other Blurting stories, but intended for an older student or student with a higher ability level. This story contains pictures of boys and girls to appeal to both. 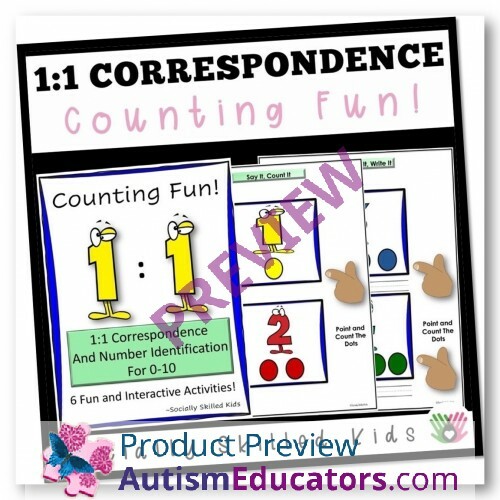 The language in this story is a bit more sophisticated than the language in the k-2 version. 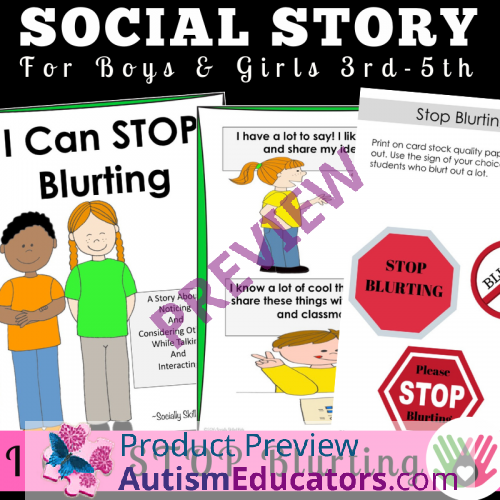 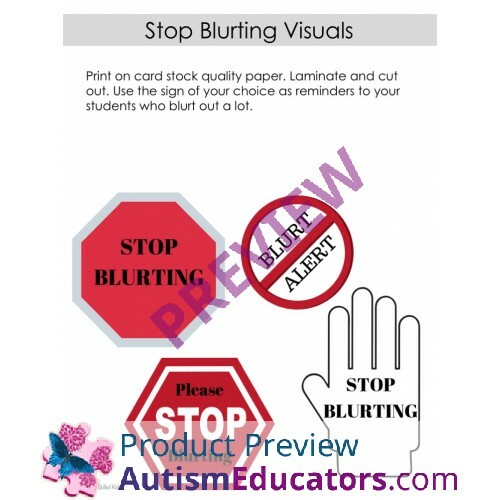 Given an age appropriate social narrative related to blurting or yelling out in school, STUDENT will read or listen to the story and provide up to at least two positive key details by retelling the social narrative in order to reinforce positive behavior skills, with 80% accuracy, in 4 out of 5 opportunities, by MONTH, YEAR.